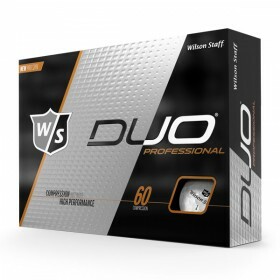 General Information:One Dozen Wilson Ultra Golf Balls Your photo/logo in full co..
General Information:One Dozen Wilson Duo Professional Golf Balls Your photo/logo in fu..
General Information:One Dozen Wilson Staff Duo Soft Golf Balls Your photo/logo i..
General Information:One Dozen Yellow Wilson Duo Professional Golf Balls Your photo/logo&nbs..
General Information:One Dozen Green Wilson Duo Professional Golf Balls Your photo/logo ..
General Information:One Dozen Yellow Wilson Duo Optix Golf Balls Your photo/logo ..
General Information:One Dozen Orange Wilson Duo Optix Golf Balls Your photo/logo ..
General Information:One Dozen Orange Wilson Duo Professional Golf Balls Your photo/logo&nbs..
General Information:One Dozen Green Wilson Duo Optix Golf Balls Your photo/logo ..
General Information:One Dozen Pink Wilson Duo Optix Golf Balls Your photo/logo i..
General Information:One Dozen Red Wilson Duo Optix Golf Balls Your photo/logo in..
General Information:One Dozen Blue Wilson Duo Optix Golf Balls Your photo/logo i.. Custom golf balls are a great way to set yourself apart on the course, and everyone loves adding their own personal touch to the game. Yet, when you order personalized golf balls from CMGE, you can choose from top brands like Wilson, Titleist, Callaway, Taylor Made, Srixon and Pinnacle. To customize a Wilson golf ball with your logo, the process is quite simple. Once you’ve selected the golf ball, you can use our design tool to upload your logo or text, adjust it accordingly, and make your order. If you need assistance with your design, we can help out. We’ll add the logo for you and send virtual proof to ensure it’s what you want. Once approved, we can begin the print process and ship your custom golf balls—it’s that simple. Whether you choose to create custom golf balls and other accessories for personal use, as gifts, or for business promotion, the choice is yours. Whichever the case, you can do it all right here with Custom Made Golf Events. Set-up is free. Standard production time is 10 business days however we offer rush service to ship out in as soon as 1 business day. Customize your balls today at CMGE!